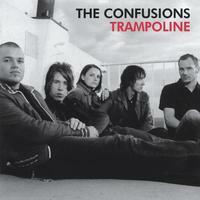 During spring 2002 , The Confusions recorded 12 songs that was to become the new album Trampoline. The first single The Pilot has received a lot of airplay and the video to the song made it directly to place # 1 on MTVs Up North chart. The album "Trampoline" fast became the most succsessful album yet by The Confusions. It has now been released in Scandinavia (Massproduktion), Japan (Egging/1977 Records), Taiwan (September Culture), Listening-Post Music in the USA, and the single "The Pilot" has been released in France (Marc Music/Warner Music).